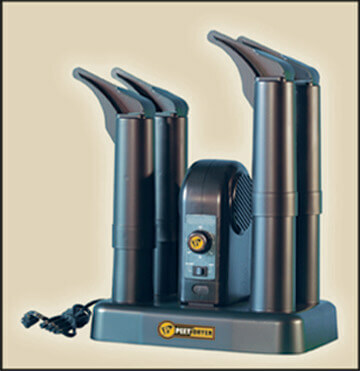 PEET ramped up their drying system by adding a quiet fan assist for quicker drying. Four “DryPorts” accommodate two pairs of boots at once. Ionization technology dispatches contaminants like bacteria and mold. Dries boots or athletic shoes without heat, with a timer for the fan. Not recommended for warming leftover lamb chops.